RAAL S.C., a manufacturer of automotive parts, has ordered SECO/WARWICK’s continuous controlled atmosphere brazing line for battery coolers for their maximum life and optimum performance. This is the third such line from SECO/WARWICK with which RAAL decided to equip its facility within the last three years of successful cooperation. RAAL is a manufacturer of complete cooling systems and brazed heat exchangers made of aluminum alloys and stainless steel: radiators, oil coolers, air coolers, condensers and evaporators, designed for agricultural, construction, industrial equipment and automotive applications. With the addition of SECO/WARWICK’s continuous controlled atmosphere brazing (CAB) line for production of aluminum heat exchangers, RAAL takes another step toward producing high quality battery coolers for carmakers, ensuring long lasting products in different operating conditions. The line is customized for large size battery coolers and is designed for high capacity production. “For decades, SECO/WARWICK has been recognized globally as a leader in aluminum brazing technology and a number of aluminum heat treatment solutions for the automotive industry. Three years ago, we decided to cooperate with SECO/WARWICK, and we are glad to say, that their solutions met our expectations, so it was only natural to place another order for the CAB line. Thanks to this proven technology we are able to meet the growing demand for quality among automotive parts manufactures and increase our production capacity,” said Clement Ivanescu, Strategies Director at RAAL S.C.
“SECO/WARWICK’s commitment to quality products begins in engineering and continues through the complete installation and professional technical services. Our cooperation with RAAL is another example of SECO/WARWICK’s ability to deliver excellent service and technologies. Each of our systems provides unique benefits and is designed to deliver efficient, flexible throughput on a continuous basis,” commented Piotr Skarbiński, Global VP CAB & Aluminum Segment at SECO/WARWICK. The need for high reliability has driven most automotive cooling batteries producers toward simple and inherently reliable technologies. Such technologies are offered by SECO/WARWICK, a leading global manufacturer of heat treatment furnaces and equipment. “The functioning of an electric vehicle is influenced by its power battery, which, in order to work most efficiently, should operate in the range of 25-45 degrees Celsius. The battery temperature affects vehicle performance, reliability, safety, and life-cycle cost. 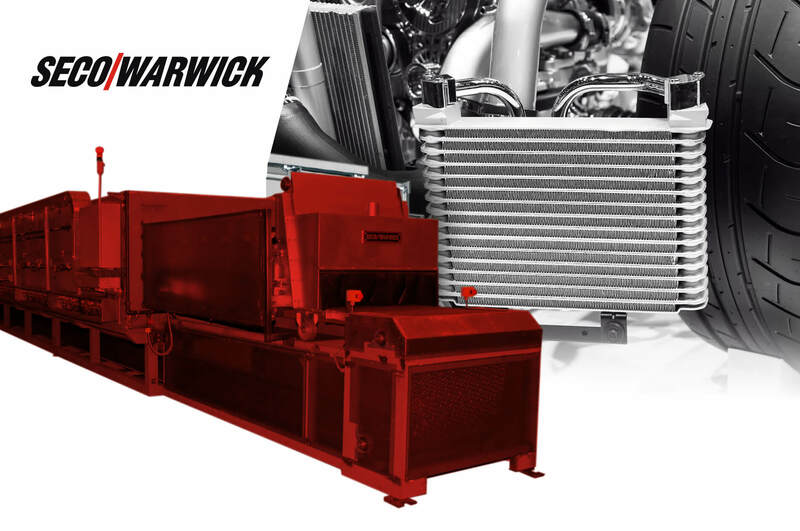 SECO/WARWICK understands EV industry needs and has proven brazing solutions for manufacturing battery coolers that meet demanding requirements. Because of this, more and more EV manufacturers are reaching for our technologies,” added Piotr Skarbiński. Knowledge of the market, trends and expectations of automotive concerns, combined with constant improvement of technological solutions allows SECO/WARWICK’s customers to use more and more modern materials in their products, thus gives them a competitive advantage. SECO/WARWICK CAB (Controlled Aluminum Brazing) aluminum furnaces and heat treatment furnaces and systems are designed according to the individual needs of each customer. Their solutions integrate and optimize production and logistic processes while also improving production flexibility.